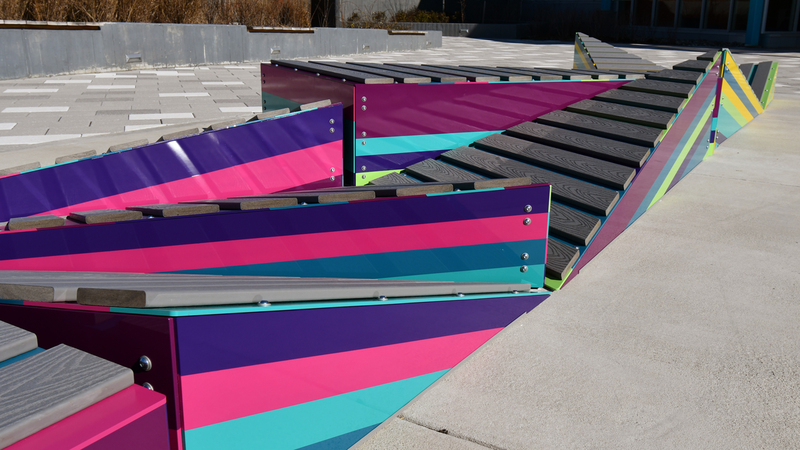 Plateshift is an interactive landscape for activity and play located in the main sunken plaza at the Marie H. Reed Community Learning Center in Washington, D.C. The center encompasses an elementary school, recreation center, and health center on one campus. As visitors look down the dramatic sloping landscape, the project will encourage active participatory use in a variety of ways. 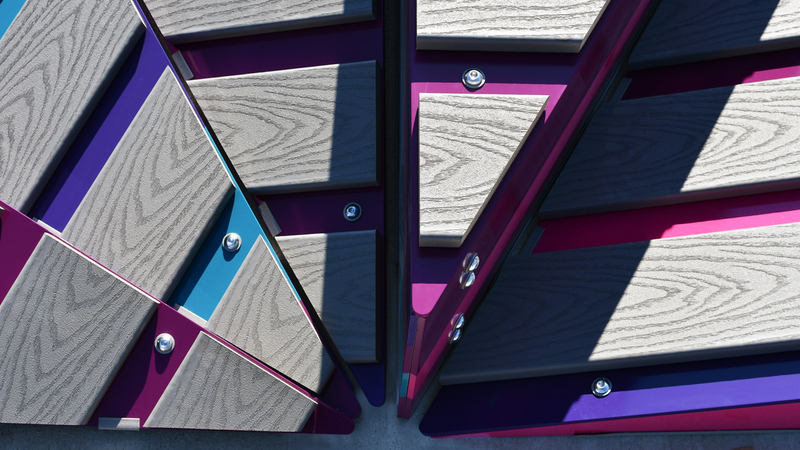 Plateshift is an interactive landscape for activity and play. 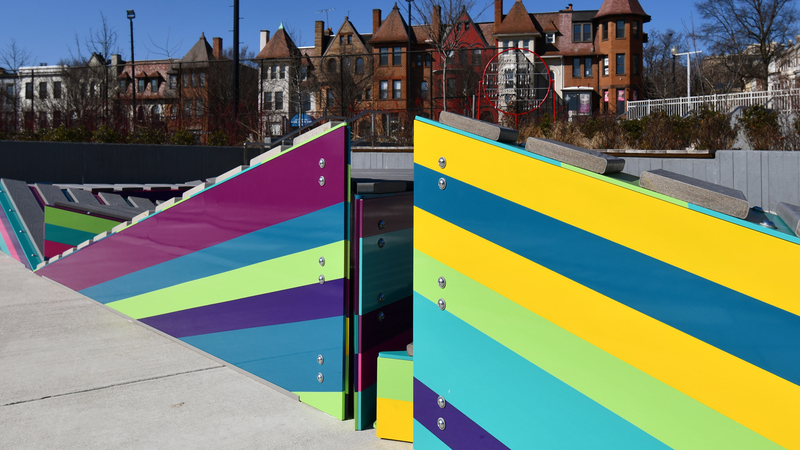 One could imagine that the wood surfaces were once flat, and the vibrancy of color within (representing community engagement on the site) could not be contained, breaking up the ground and revealing the layers beneath. This physical reaction is similar to the way the earth’s energies shift plate tectonics to reveal layers of its crust and create new formations. 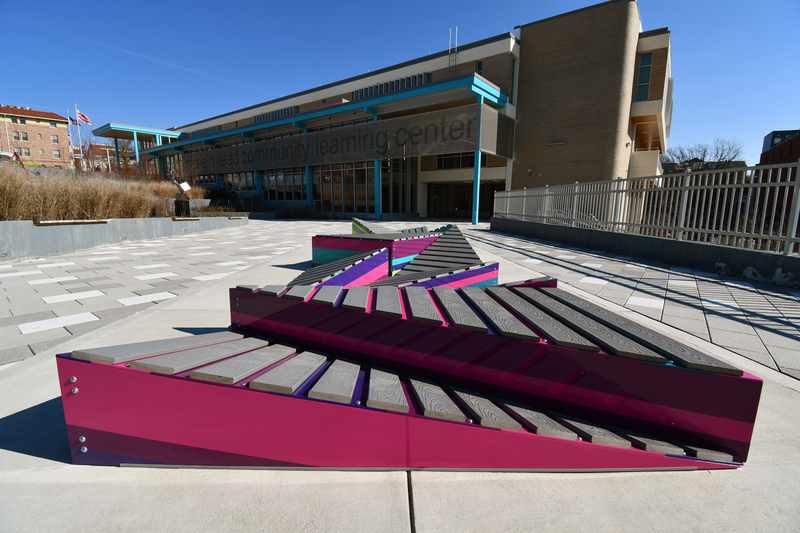 This site specific piece lies in the main sunken plaza at the Marie H. Reed Community Learning Center in Washington, D.C. The center encompasses an elementary school, recreation center, and health center on one campus. 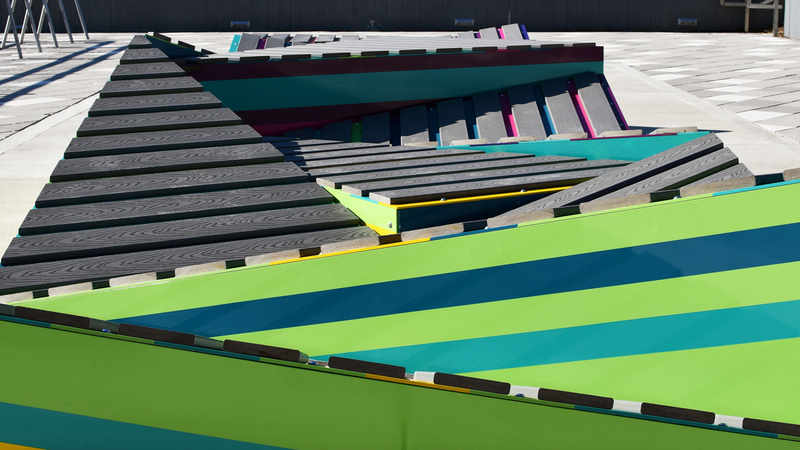 As visitors look down the dramatic sloping landscape, the project will encourage active participatory use in a variety of ways.